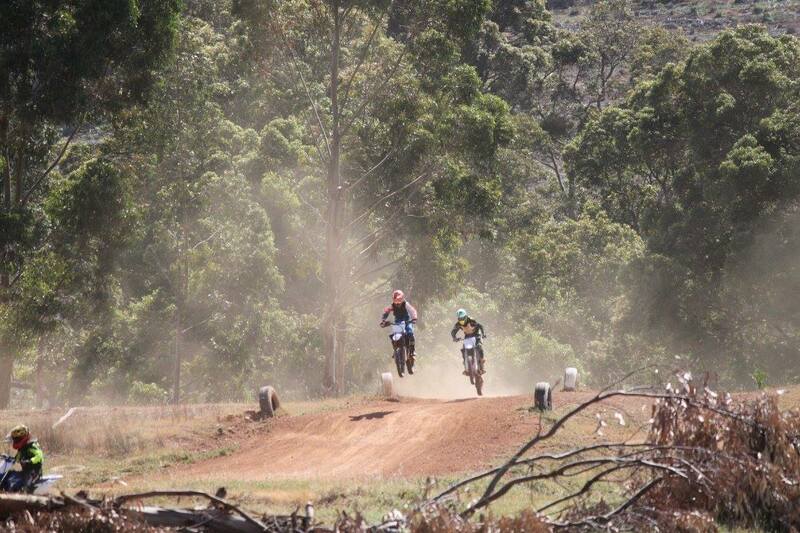 We currently have 80kms of enduro style trail riding on offer. These trail loops are directionally arrowed, which means everyone travels in the same direction. A single arrow means you are on the basic ‘easier’ trail. A double arrow is a technical option which then joins back onto the single arrowed trail loop. A triple arrow is for extreme riders. 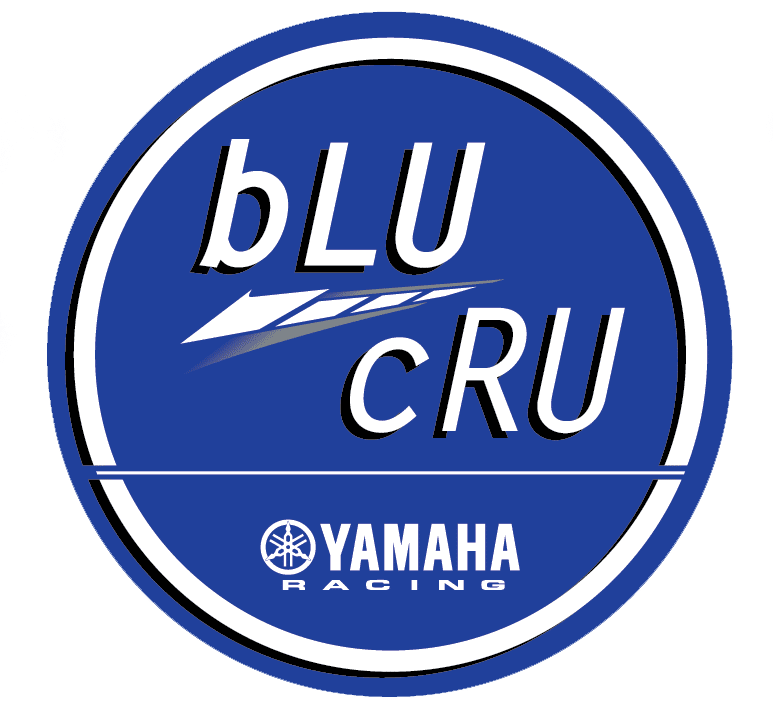 Blue Loops 1 & Red Loop 2 all have technical options along the way and all have shortcuts back to home base if you want (or need) to shorten up your ride. The choice is yours. A riding parent/guardian must accompany their children on Loops 1 & 2 until the riding parent/guardian is satisfied that their child(ren) can ride safely unattended. We do not recommend children under 12 years riding Loops 1 & 2 on their own. Before riding the Loops, make sure you have enough fuel. The longest loop is around 40kms in total length and maybe quite fatiguing. Make sure you take water and a snack with you to keep up energy levels, and rest along the way if required. 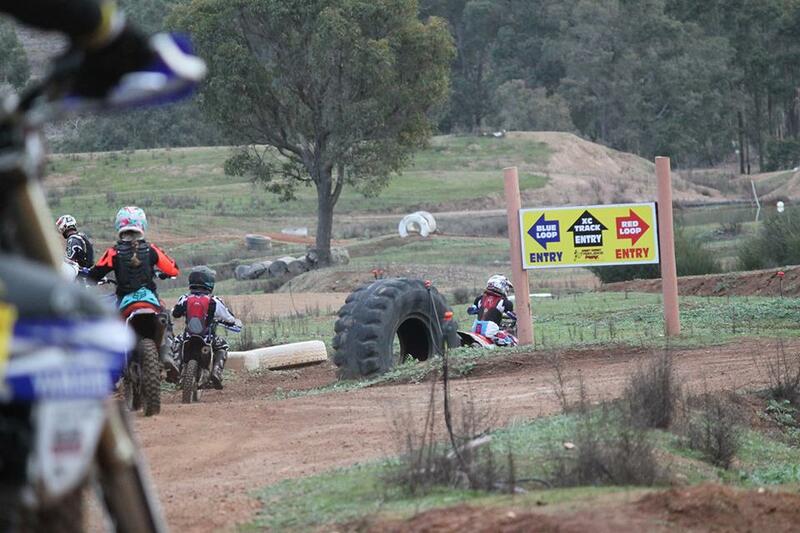 Our Pee Wee Track is centred in the middle of the camping area and has great spectator viewing. 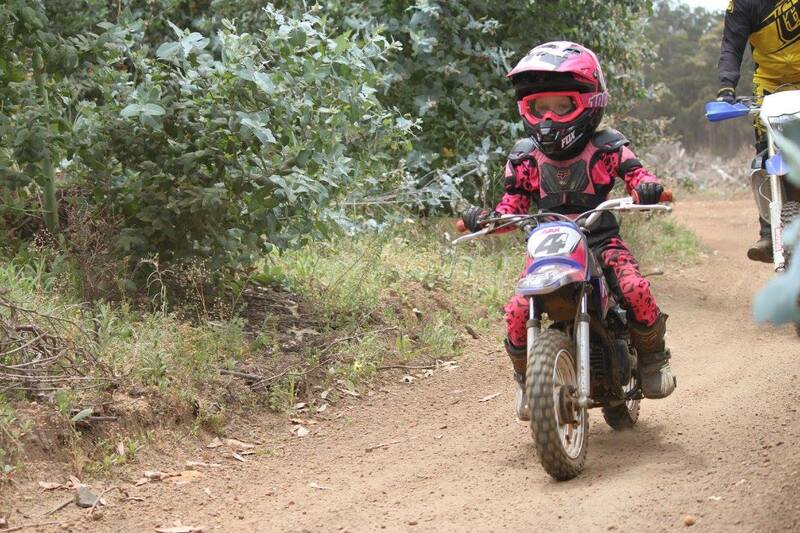 With some small jumps and berms, kids really get their kicks, (as well as the parents of course) as their confidence is built lap by lap by our friendly and safe circuit. 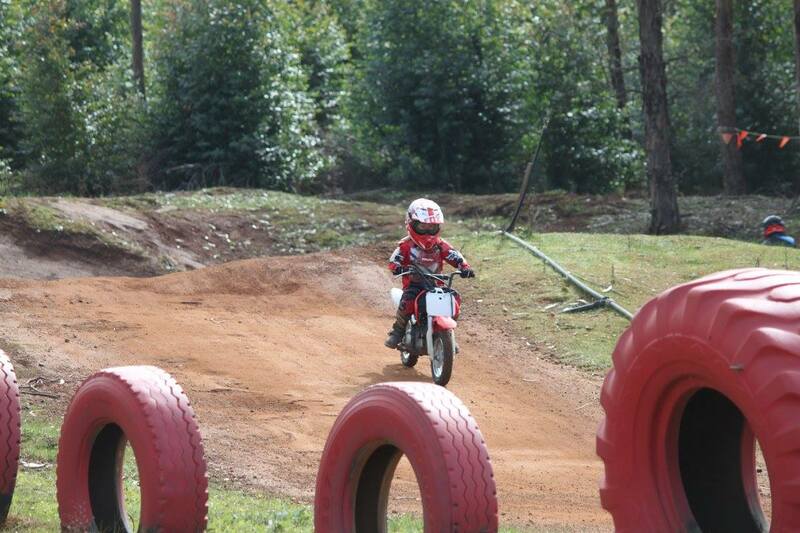 Kids can ride this track if they have a 80cc bike or lower. 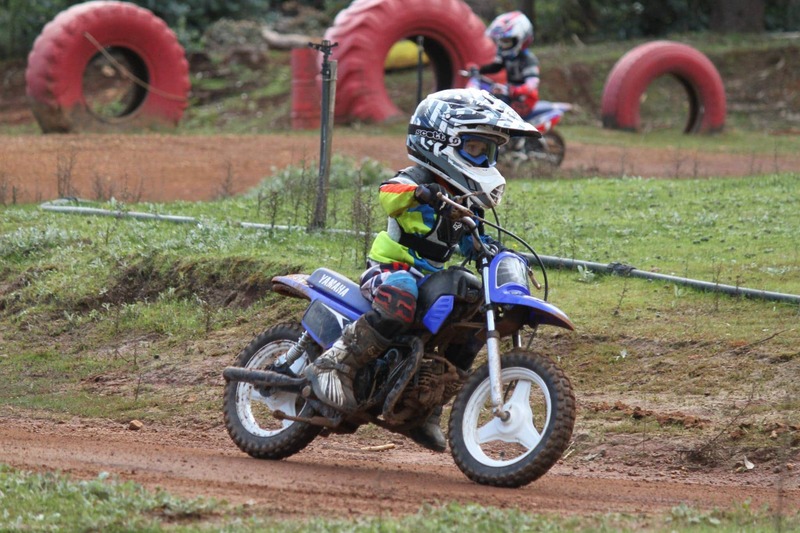 We’ve designed the Kids Loops to be a safe and enjoyable 2 km ride. 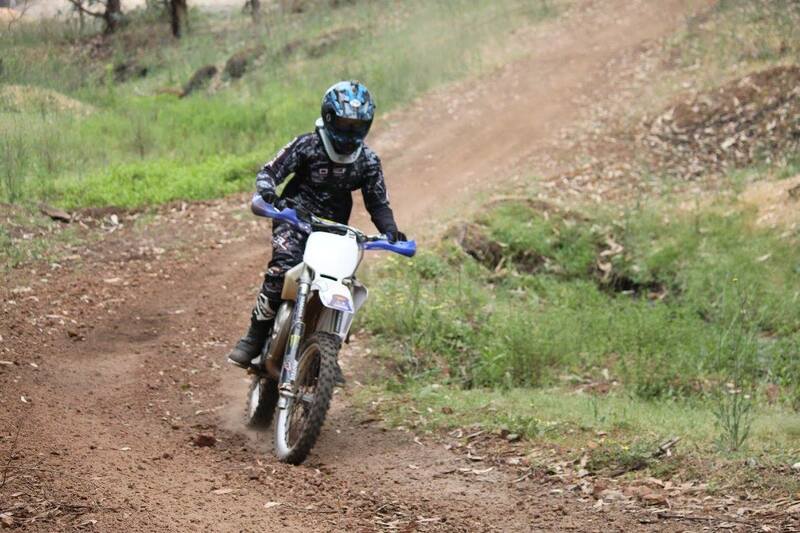 With the Start and Finish of the trail at the camping ground, parents can keep an eye on their little ones as they ride to their hearts content. This Loop offers a variety of riding options including an open fire trail, single trail through the trees and a small hill climb. We do recommend a riding parent/guardian accompany their children on the Kids Loop until the riding parent/guardian is satisfied that their child(ren) can ride safely unattended and understand the one-way directional arrow system we use at the park. The Kids Mini Trail is much like the Kids Trail Loop, but has been designed to be a little more technical as it moves through the trees. This trail is only 1km long, and lots of fun. Once again this trail starts and finishes at the camping ground so parents can keep an eye on their kids comings and goings. This Trail Loop utilises the south of the property, and is a more technical trail ride than the Red Loop due to its off-camper hills and gullies, so the rider is kept on the ball as the trails weave around rocky outcrops of granite and through winter creeks in the natural forest. This Loop is up to 25kms long if you take all the technical sections or as short as 2kms if you decide to take the short cut back home and offers a unique riding experience in picturesque countryside. The Red Loop is the longest trail loop at our Park and utilised the north side of the property. The single arrow trail route is also the easiest trail loop and is what we recommend to start with until you’re ready for a more technical ride. With the ground being more gravelly loam, with gentle hills along the way, we have created a mix of double arrow single trail in the natural bush and creeks all linked together by the fast, open flowing trails of the single arrow trail. With 8 technical sections along the way, there is plenty on offer to keep you going for up to 40kms. Remember, you can always take the short cut back home if you are getting tired or need a break. 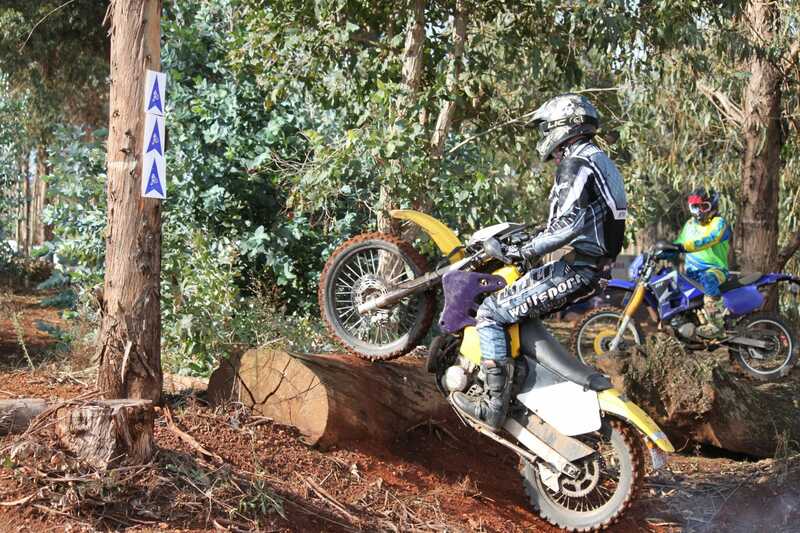 A short uphill challenge for the experienced rider, you must be able to wheely over the access log to enter the trail! 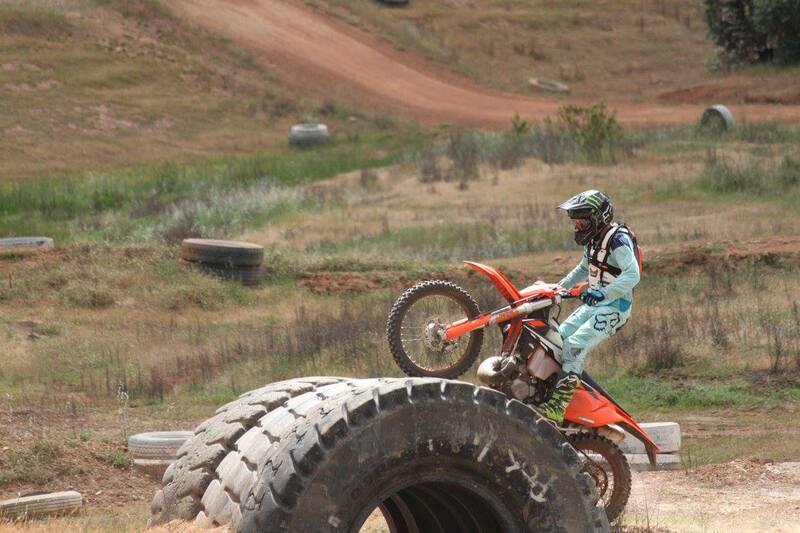 A short course area set to challenge the rider who is interested in technical riding. 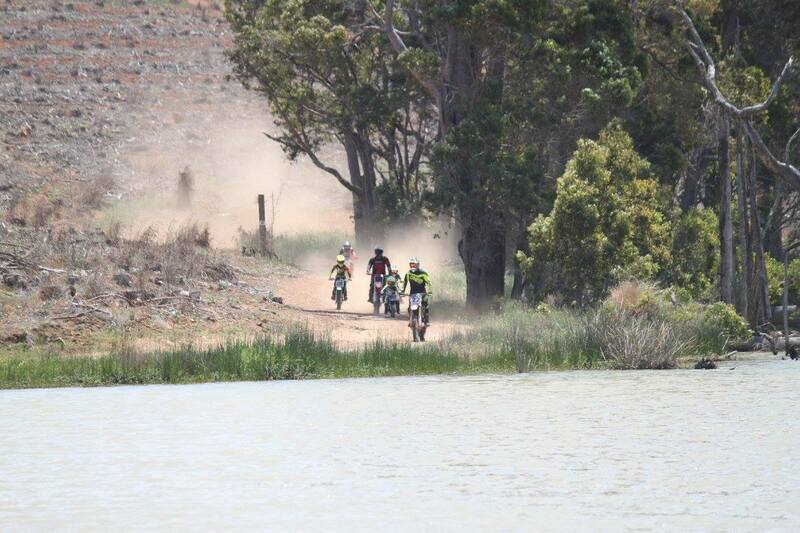 Our Natural Terrain MX Track is just that – a track built into a huge broken dam! 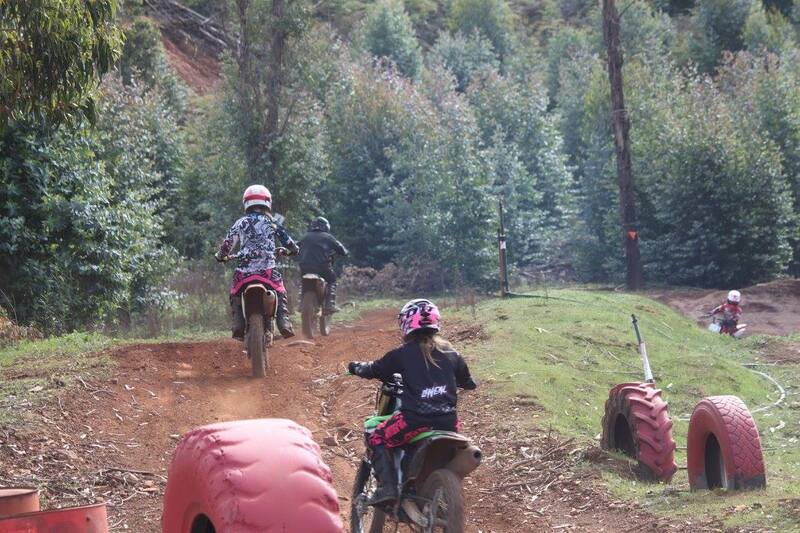 The track is 2km in length and has a variety of jumps and berms including a huge jump over the dam wall. We are constantly improving the track, with our grand plan to have it irrigated for the drier months.